Home Friends Karl’s Lego Star Destroyer! 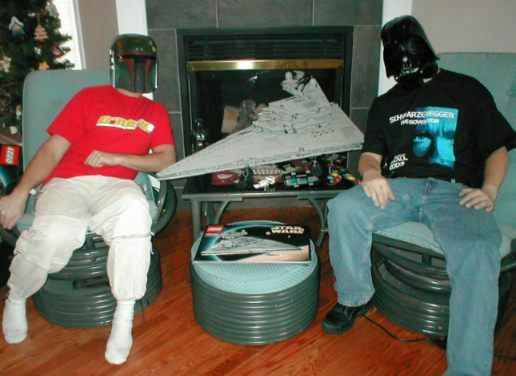 Several years ago (before I blogged on an official “blog”) I created a page that showed me and my friend Ryan Yoder assembling my Lego Star Destroyer, which at the time, was the largest Lego kit that Lego had ever created up to that point. I often am telling kids about it (as I was this weekend in Canada) and wishing it was posted on my blog, so I am posting a post about the post where I posted about it: For all the pictures step by step (and cool star background) SEE THE ORIGINAL LEGO STAR DESTROYER POST. It took us two full days to assemble the 3000+ pieces of this Lego work of art! 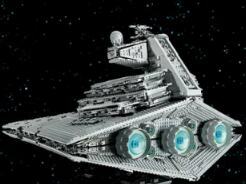 So now it is linked and searchable on my blog so I can just tell kids, search my blog for Lego Star Destroyer and you’ll find a link to it! CHECK IT OUT THE COMPLETE PICTURES HERE. That rocks Karl! I am assuming that you are Darth Vader on the end picture? I will have to email you pictures of a whole city and park scene that we did in my children’s ministry two years ago for our summer day camp. It took five guy’s a whole week and over 50,000 pieces. It was so cool, you would love it. I remember that post! This was one of my first intros to Karl and to blogging (not neccesarily in that order). Thanks for the trip down memory lane. Baby Luke's Adventure at Kid U Ohio!